Be it a wedding or a usual gathering, people love to indulge in unique decorations and settings. One such important element is the chairs. Nobody would have thought that chairs could also make a difference in decoration but it has changed the idea of decor completely. What makes these chairs look simply outstanding is the satin sashes. These are like long satin ribbons that can be wrapped around the chairs making them look elegant and unique. The whole vibe of the venue transforms with these vibrant satin sashes. And when you buy satin sashes in wholesale, you get an opportunity to play with colors and styles and moreover you can match the decor with colors that suit the settings best. Personalization is another add-on advantage you get when you have all types of satin sashes to experiment with. What are the latest trendy ideas that can make a festivity shine throughout? Read on to find out. If you have a fairy tale or a sea theme wedding, the turquoise satin sashes could help a great deal. 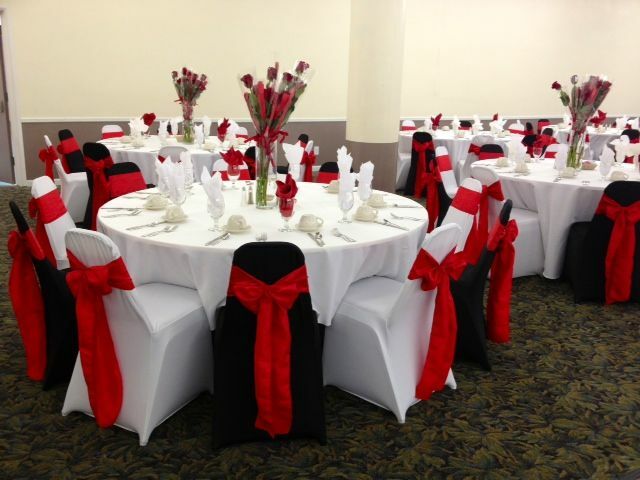 You could simply tie the sashes around the chairs horizontally or warp it diagonally from one corner to the other. The turquoise color would add the dreamy effect to your festivity and would spread positivity all around. When you wish to add the royalty factor to your festivity choosing trendy golden satin sashes would be a reliable option. Whether you choose glittery golden sashes or the solid golden ones; either way, your party is going to rock. You could also attach a bow at the back of the sash to add on the attractiveness. Red colored sashes form the best choice for marriage festivity. Red denotes courage, love, romance and what could be better than having a red themed wedding with red satin sashes around the chairs. Wrap the red sashes diagonally across the chair and you could also prefer knitting a bow at the middle for highlighting the decoration. Black is for people who love experimenting and have favoritism for this bold color. Not many would choose it, but you should know that the grace it would add to the decorations around would make it worth your efforts. You could simply wrap a single knot black satin sashÂ to your golden or silver chairs. Or you could even match it with white and pink roses to add to the glamour effect. This vibrant color has been quite popular lately. When it comes to decorating the chairs with orange satin sashes, the ideas are unlimited. You could choose to simply tie sash from both the ends and frill it out in the center. Or, you could cover the entire chair like a full draped dress and tie it with a decorative broach to make it look beautiful. Silver loves unique, beautiful and is known to denote good wealth. You could dress up the chairs with black cloth and add silver satin sashes on the top to give it a completely new look. Or for more perfection, you could dress up the chair back with silver nets and tie up a silver satin bow at the middle of it. Looking at these amazing ideas, you must be feeling the urge to experiment with these vibrant colors. Therefore buying chair sashes that are available in wholesale should be preferred so that you can buy cheap chair sashes in bulk and play with the creative ideas.